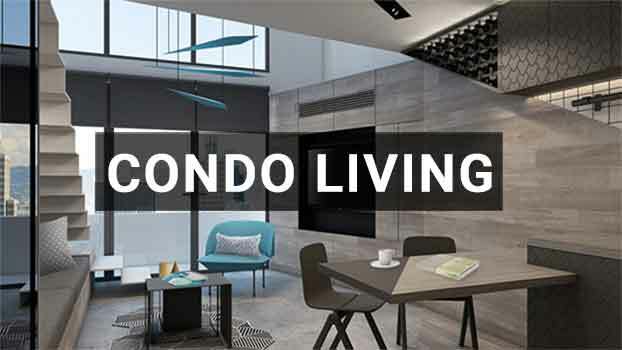 Condo living is changing. The world in 2018 is a very different place than it was even just five years ago: virtual reality is now commonplace, we all carry supercomputers around in our pockets called “Smartphones,” and eccentric billionaires are launching their electric cars into space! It’s hard enough for even millennials and Gen Z’ers to keep up – but what about those folks who belong to the Greatest Generation? Seniors have seen society change into something almost entirely alien compared to that which they grew up in, and there’s an incredibly steep learning curve to keep up with – but don’t worry, we’re here to help. If you’re someone looking to take advantage of the conveniences offered by modern condo and property management software (either as a senior, or otherwise), buckle up: here’s your crash course on Condo Living in The Future! What exactly do we mean when we refer to new condo living technology? Well, luckily, it’s not an expensive piece of hardware you’ll need to upgrade and replace every couple of years to keep current! The sorts of new technology we’re seeing related to condominiums involve web-based software platforms that you can easily access from your phone or home computer. These online portals are easy to navigate and are designed to be user-friendly for people of all levels of tech savviness. These programs generally complement the efforts of condo boards and make it easier for board members and residents to engage, solve problems, and collaborate with one another. Real-time updates. Don’t be stuck in the dark wondering about the ongoing status of water shutoffs, elevator repairs, or the like. Just go online for the most recent updates on repairs and ongoing maintenance – particularly helpful for elderly residents with mobility issues. Faster results. Have you ever left a voicemail with your condo management company about an issue, only to have weeks go by without hearing back? So have we, and it’s frustrating. Say goodbye to this problem – lodge your concerns through the online portal for faster, more efficient action. Reassurance you’re in good hands. The improved communication that online condo management software provides – coupled with the ability to track updates, complaints, repairs, etc. – gives residents a sense of confidence in the building and its management, as it demonstrates a commitment to always improving and keeping on top of the latest industry trends. A sense of community. Online portals provide a platform for dialogue and create a sense of belonging, which not only helps build a feeling of community offline but can also be enormously impactful for seniors who may otherwise feel isolated and alone in their individual condo. These positives related to online condo management software really just scratch the surface of how technology is impacting both senior condo living, and Calgary condos, in general. It really is a bold new world out there – and the best part is, it’s all easily accessible, so long as your condo management company is on the ball. Now, are you eager to start taking advantage of this online technology, but don’t know where to begin? That’s where your condo management company should be stepping up to the plate. At Catalyst, we’re always eager to help remove any barriers to entry when it comes to new condo living technology by being there to engage with, and educate, anyone keen on learning the ins and outs of these helpful programs. Not only does this make our lives easier – as improved communication and engagement with residents helps us do our jobs better – but we love the trust-building and transparency that these sorts of programs foster between management and the condo community. It’s ultimately beneficial to everyone that these programs see successful adoption by all residents in a condo building, so we couldn’t be happier to spend time educating and supporting those individuals who are excited to learn. Need a hand figuring out how to navigate your condo’s online software? Give us a call at Catalyst Condo Management today, and we’ll be happy to support you in your journey towards technological enlightenment!